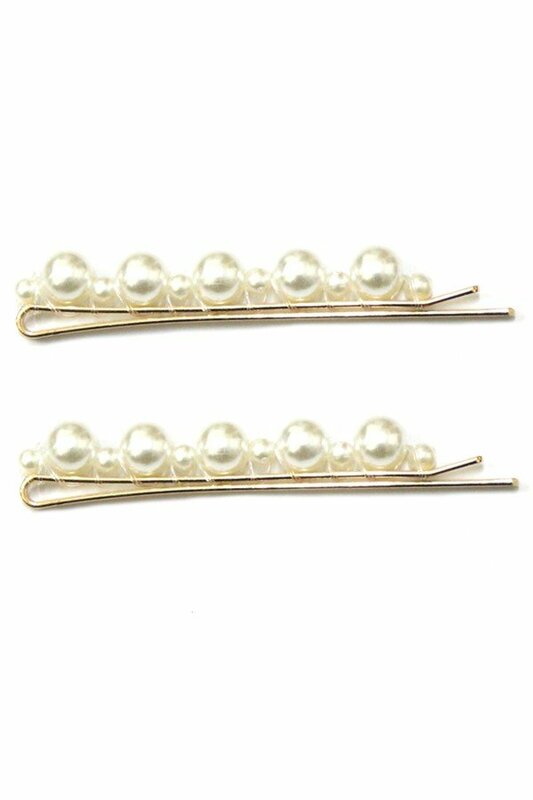 Description: Faux pearl bobby pin set. Approx. 2.75" long.